A central tenet of the nascent Confederate Navy’s strategy during the American Civil War was to make Yankee merchants howl from the loss of their vessels and cargos. In order to achieve this aim, the Confederates commandeered suitable vessels in Southern ports to convert to armed merchant raiders, issued letters of marque and reprisal and procured vessels abroad. Because the Confederacy was not recognized as a sovereign nation by Great Britain or France, the ships procured or built there had to be built ostensibly as merchant vessels and later outfitted with armaments after leaving British territorial waters. Among the ships acquired by Confederate agent James Bulloch was the steamer Sea King. Launched in Glasgow in August 1863, the Sea King was a 1,160 ton steamer equipped with auxiliary sails. After being purchased by Bulloch, the Sea King put to sea in October and rendezvoused with another ship off Madeira. On October 19, 1863 after several days of transfering cargo and mounting her guns, the Sea King was commissioned as CSS Shenandoah after the beautiful and bountiful Virginia valley. The ship’s design was perfect for raiding merchant vessels as she could raise and lower her steam funnel at will in order to change her identity from steam vessel to sailing vessel. From the Madeiras, the Shenandoah and her new captain, commander James Iredell Waddell sailed through the South Atlantic to the Indian Ocean and captured nine US vessels. Shenandoah called at Melbourne, Australia where she re-provisioned and added forty more men to her crew. After departing Melbourne, Shenandoah ravaged her way north through the Pacific Ocean capturing four more Yankee vessels en route to the lucrative North Pacific whaling fleet. Unbeknownst to the Shenandoah and her crew, the Confederacy had effectively collapsed with Robert E. Lee’s surrender at Appomattox Courthouse on April 9. The news, though, would not reach the Shenandoah until after she had wreaked havoc among the American whaling fleet, capturing 24 ships in a period of 7 days from June 22 to June 28, 1865. After learning of the Confederacy’s surrender on August 2 from newspapers aboard an English merchantman, Waddell successfully returned his ship to Liverpool where he struck the Confederate naval ensign and turned her over to the Royal Navy. An excellent account of the voyage, Last Flag Down , was published in 2007 by a descendant of one of the Shenandoah’s officers. The search for the fabled Northwest Passage captivated European explorers for much of the 1500s through the early 1900s. Alas, like Ponce de Leon’s mystical Fountain of Youth, the Northwest Passage proved elusive and commercially non-existent. Not until Roald Amundsen’s journey through the passage from 1903 to 1906 was someone able to complete the journey completely by sea. 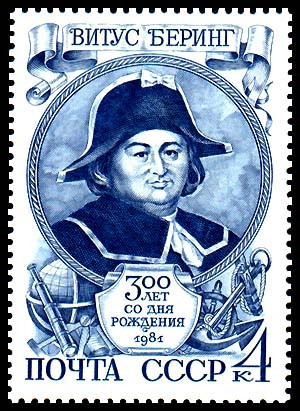 Among the numerous expeditions sent to explore the far reaches of the Arctic Sea were two led by Royal Navy officer Sir William Edward Parry. For seaborne transportation Parry relied on two bomb ketches – the sister ships HMS Hecla and HMS Fury. 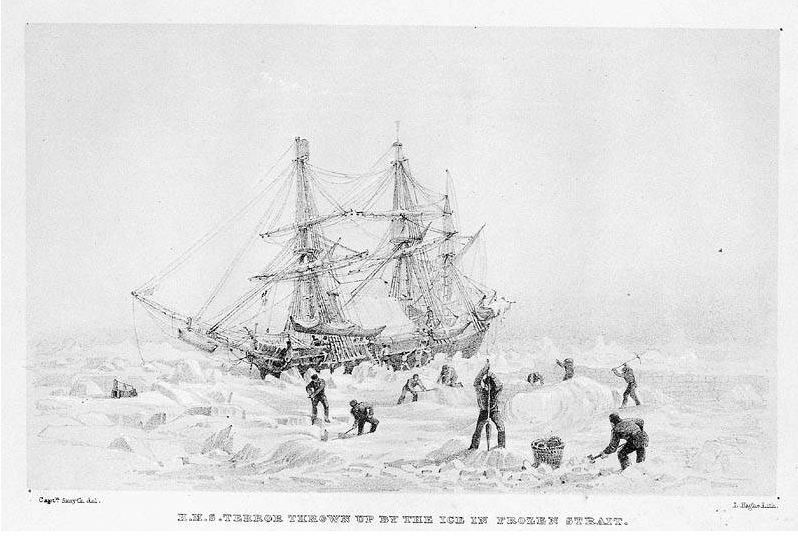 Only a few months before the expedition’s return to England in October 1825, the Fury was severely damaged by ice floes which had trapped the ship. 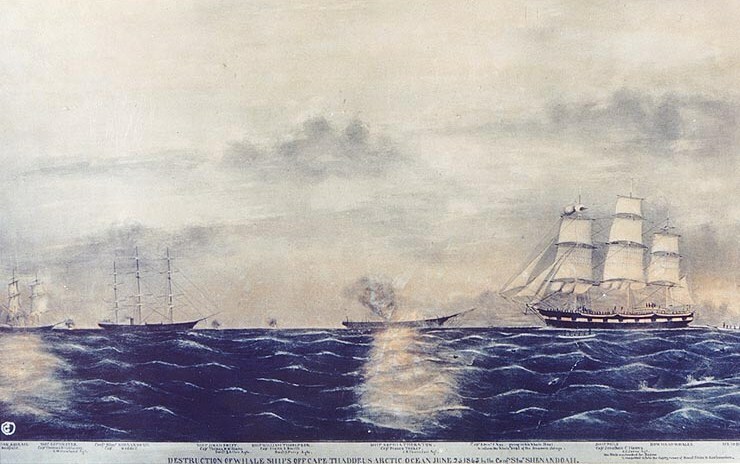 Despite numerous efforts to rescue the vessel, the Fury had to be abandoned on August 25, 1825. Before she was abandoned, though, the vessel’s extensive stores were moved ashore and deposited into a supply cache. Four years later those supplies would save the life of Arctic explorer John Ross and his team before they were rescued. The site of the Fury’s loss is now called Fury Beach; however, it remains unclear if the Fury slipped beneath the waves when the ice floes parted or if she drifted off to sink into the clutches of the Arctic Sea in another location. The Nazi battleship Scharnhorst lived a charmed life from the early days of World War II until Christmas 1943. The ship was among the most powerful of the Kriegsmarine’s most powerful surface units and, until the launch of the Bismarck and the Tirpitz, she and her sister ship Gneisenau were the pride of the Kriegsmarine. Often operating as a pair, Scharnhorst and Gneisenau wreaked havoc on the Royal Navy. In the opening days of World War II, the ships sank the armed British merchant cruiser HMS Rawalpindi and later sank the aircraft carrier HMS Glorious (see photo above) during the 1940 invasion of Norway. The sister ships also broke out into the North Atlantic and sent several Allied merchantmen to the bottom of the sea. After the loss of the Bismarck, the decision was made to withdraw Nazi surface ships from the French coast. In early February 1942, the ships, along with the heavy cruiser Prinz Eugen, made a daring dash up the length of the English Channel. The Scharnhorst was then re-deployed to the northern waters of Norway in order to threaten Allied convoys supplying the Soviet Union. On Christmas Day 1943, the Scharnhorst along with several destroyer escorts set sail from Norway to intercept an Allied convoy. Unbeknownst to the Kriegsmarine, the Royal Navy had intercepted and decoded the Scharnhorst’s orders and therefore laid a trap for the ship. Three Royal Navy cruisers screened the convoy from Scharnhorst while a squadron led by the battleship Duke of York raced to cut off the Nazi force from safety in Norwegian waters. After a fruitless pursuit of the convoy, the Scharnhorst cut off contact and began to return to base on December 26. In a three hour battle, the Scharnhorst was battered by the Royal Navy squadron and finally sank with only 36 survivors out of a crew of 1,968. The wreck of the Scharnhorst was discovered in 2000 by the Norwegian Navy and further investigation revealed the extent of the damage inflicted by the Royal Navy. A total of 2,195 shells were fired at the ship along with 55 torpedoes. Eleven of the torpedoes found their mark and the torpedo and shell damage was extensive. The entire bow section of the ship was blown off the ship, most likely the result of an explosion in a forward magazine. Go here for a gallery of images from the Norwegian Navy’s investigation as well as period photos of the Scharnhorst. In his latest book, The Last Viking , author Stephen Bown documents the epic life of Norwegian explorer Roald Amundsen. Amundsen is best known for winning a dramatic race to the South Pole and becoming the first human to reach the bottom of the world. Bown presents readers with a modern retelling of Amundsen’s life and stunning achievements. Amundsen was not only the first to journey to the South Pole, he also was the first to reach the North Pole and to sail the Northwest Passage. Divided into five parts, The Last Viking chronicles each of Amundsen’s polar explorations including his last ill-fated voyage to rescue the stranded crew of an Italian airship in the Arctic. 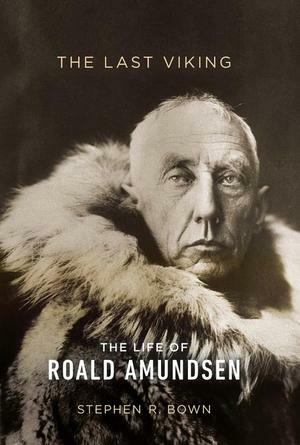 Bown, though, resists the urge to focus solely on Amundsen’s explorations and presents readers with a portrait of a confident leader whose drive and attention to detail helped him become one of the most successful explorers of the 20th century. Utilizing contemporary newspaper accounts and previously untapped archival materials, Bown describes in detail Amundsen’s voyages, personal financial problems and character flaws. The reader also learns of the behind the scenes struggles Amundsen endured with duplicitous agents, rival explorers driven by nationalism, and the cataclysm of World War I which hampered one of his voyages. Each section of the book opens with a map of the region corresponding to the exploits Bown documents in that section. This is especially helpful to understand the vast distances Amundsen covered either by ship, sled, skis, airship or plane. In a world where little is left to explore, Bown transports his readers to a time when great men battled nature to explore the earth’s last remaining terra incognita. As the winter months approach, readers would be well served to buy The Last Viking and curl up in front of a roaring fire to enjoy Bown’s gripping account of Amundsen’s epic polar adventures. National Geographic reports that archaeologists working in Tanfield Valley on Baffin Island have uncovered evidence pointing to a second Viking camp in North America. Canadian archaeologists led by Memorial University adjunct professor Patricia Sutherland began excavations in the area in 2001. While excavating the ruins of an ancient building on the island, Sutherland and her crew found whetstones with traces of a copper alloy known to be used by Viking metalsmiths, but not natives of the region. Items with Viking origins have previously been found on the island including Viking yarn, tally sticks and whetstones. Sutherland’s latest discovery solidifies evidence for Viking contact with the peoples of Baffin Island and provides further foundation for her assertion that a northern transatlantic trade route existed between the Vikings and Arctic natives. The high demand in northern Europe for ivory and furs would have provided significant economic incentive for the Vikings to trade with Arctic natives. Archaeologists first discovered evidence of Viking contact with North America at L’Anse aux Meadows in 1960. Numerous modern day adventurers have utilized Viking ships and navigation techniques to sail from the Vikings’ Scandinavian homeland to various points in North America. The feat was even accomplished 120 years ago when Norwegian Magnus Anderson built and sailed a Viking longship replica from Norway to Chicago for the 1892 World’s Columbian Exposition. The ship is now on display in Chicago, Illinois.